Now that the 2018 midterms have passed, national attention will turn to the 2020 presidential race. 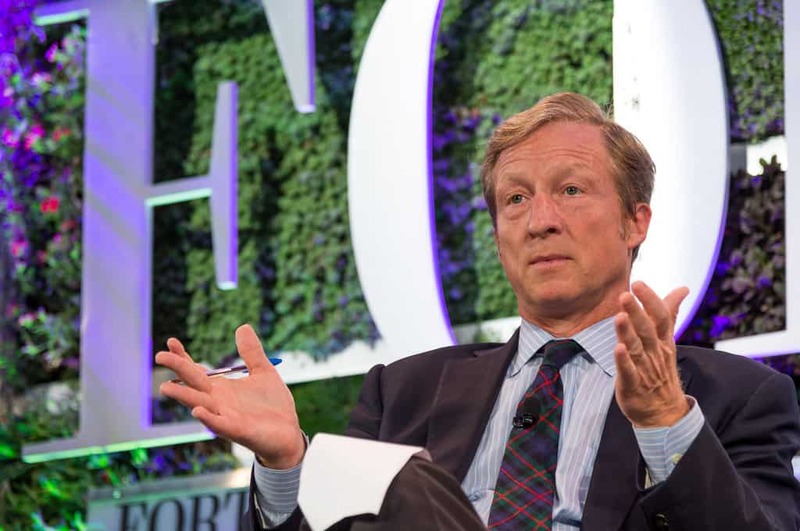 While he has yet to announce his candidacy, Billionaire investor, Tom Steyer, is seemingly taking steps towards running. Steyer has become well known for his repeated calls to impeach Donald Trump. He has used his vast capital, television commercials and town halls to promote this message. The billionaire turned activist will also be taking out ads in both newspapers as well as sites like Twitter, Facebook, and Instagram, to promote his platform. When it comes to giving back, Steyer has put his money where his mouth is. He and his wife have announced plans to give away much of their fortune which includes the $280 million they have spent supporting Democrats in the last 3 election cycles. Steyer’s vast wealth provides him with the rare opportunity to help shape his parties platform. He has proven himself to be a shrewd messenger with plenty of media savvy. The Democratic nomination race should be interesting. Some other popular potential candidates include Joe Biden, Cory Booker, Elizabeth Warren, Kamala Harris, and even Oprah Winfrey.